In a small mixing bowl, combine the pumpkin puree with the plant milk and sweetener. 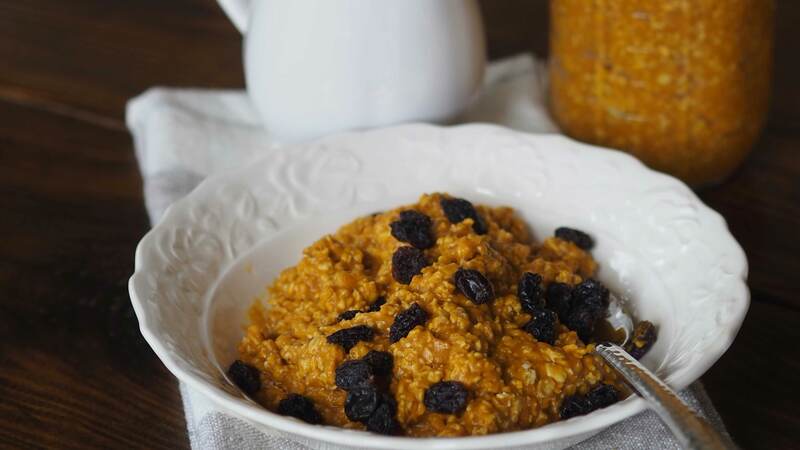 In a mason jar, mix oats with pumpkin pie spice and raisins. Then, add pumpkin milk mixture to oats and stir to combine well. Cover the jar and transfer to the refrigerator for 30 minutes or overnight. Before serving, freshly grind flax seeds in a spice or coffee grinder. Sprinkle the ground flax seeds over the oats. May be served cold or warmed up.